Topics for this week's "Gleeman and The Geek" episode included Paul Molitor admitting the Twins botched Jorge Polanco's handling, PECOTA's optimistic view of the Twins' defense, recovery timelines for Phil Hughes, Glen Perkins, and Byung Ho Park, trying to cure hangovers at Fair State Brewing, Twins Daily's fifth anniversary, giving away a pair of 20-game Twins season tickets via the Minnesota Corn Growers, and mailbag questions from listers. This week's blog content is sponsored by the Minnesota Corn Growers Association and their website KernelNation.com, which is sponsoring "Gleeman and The Geek" all season. 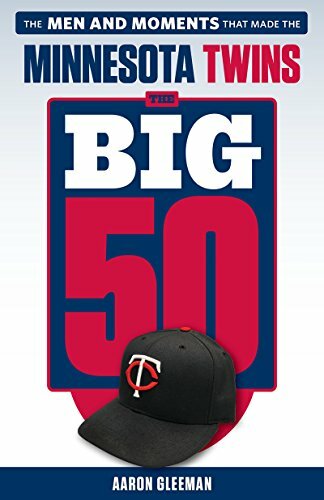 Topics for this week's "Gleeman and The Geek" episode included Nick Gordon, Tyler Jay, and the rest of the Twins' top 10 prospects for 2017, ranking the Twins' best 25-and-under players, returning to the scene of the Winter Meltdown, revealing the secret word that can win listeners a pair of 20-game Twins season ticket packages from Minnesota Corn Growers, predicting the upcoming fifth-starter decision, and reveling in the glow of our pale legs. This week's blog content is sponsored by Harry's Razors, where you can get discounted razors and shaving supplies delivered to your door by going to harrys.com/gleeman. 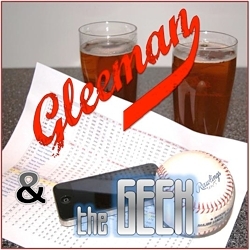 Topics for this week's "Gleeman and The Geek" episode included adding Matt Belisle and Craig Breslow to the Twins' bullpen mix, just how far out of favor Byung Ho Park has fallen, PECOTA actually liking the Twins more than anyone else, devouring multiple courses at Iron Door Pub, the correct pronunciation of Ehire Adrianza, condo news and the search for a new Casper mattress, and Boyz II Men then and now. Topics for this week's "Gleeman and The Geek" episode included Twins' rotation battles, available free agent starters they could still add, recapping the fourth annual Winter Meltdown event, digging into the Dodgers' trade for a second baseman not named Brian Dozier, keeping up to speed on Kurt Suzuki, Joe Nathan, and Adam Walker, announcing our return to KFAN, and delving into the scary world of talking on the phone. This week's blog content is sponsored by Audible, where you can get a free 30-day subscription that includes your choice of one free book by going to Audible.com/Gleeman.